My newest photography project, Force, is a focus on the human side of wind energy. It demonstrates that wind energy it is not an aspect of the future but a lived reality right now for people and communities all over the world. This is the second in a series of posts (read the first here) to introduce these wind energy heroes. Partially supported by the GWEC, contact me if you wish to publish or support this project. Jaap van der Beek is a businessman, a farmer and a pilot in Middenmeer, the Netherlands. 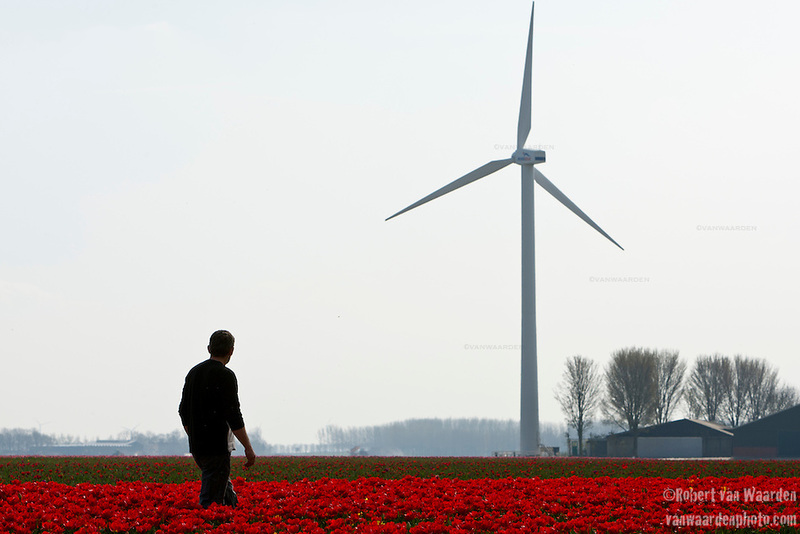 Like many farmers in North Holland, he harvests tulips, potatoes, onions, and wind energy. For over 15 years he has been involved with harvesting the power from the wind and his 850kw turbine powers hundreds of homes. He speaks passionately about the impact that wind energy has had on his life. Perhaps first and foremost, above the financial gain, is the sense of community gained from involvement with wind energy. Owning a wind turbine has connected him with the other solitary wind turbine owners in North Holland and with the industry as a whole. He is a member of the implementation commission with the Netherlands Wind Energy Association and member of the WindUnie co-operative. He works tirelessly to promote and grow the wind energy sector in the Netherlands. Currently Mr. van der Beek is working on a building a new turbine. “I am a business man, therefore I want to move on, I want to go bigger, better. To stand still is to go back,” he says. However, due to new planning regulations, van der Beek’s proposed 3.5MW turbine must be placed at another location in the polder in line with other turbines. He is currently working with other windmill and land owners in North Holland to secure a location for this collection of wind mills. He has been busy for 5 years on this project, an inordinate amount of time considering it takes about 2 months to actually install a windmill. All across Europe it seems the long planning and permit process is hindering the quick implementation of clean renewable energy. 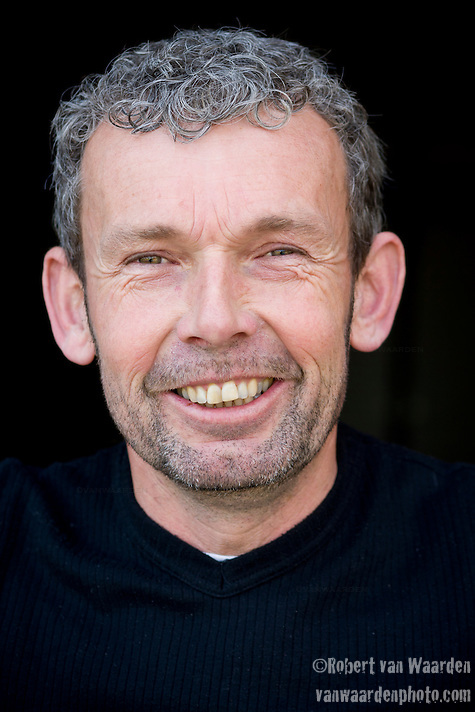 For now, as the project continues development, van der Beek will work with the seasons, the tulips will grow and he will continue to implement wind energy solutions on his farm and in his life.